This set was often used in PEPLUM films. Here are two examples. They simply repainted the surface to make it look slightly different. 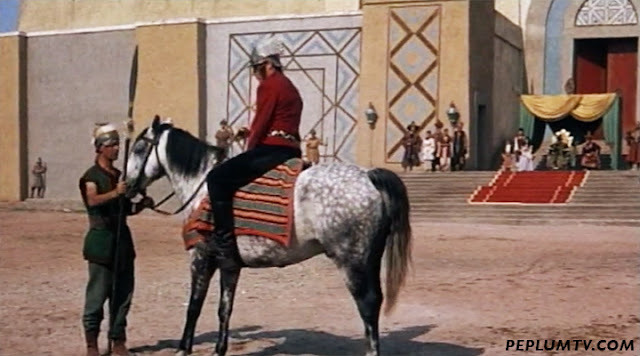 Did the various Italian studios making Peplums in the late 50s and early 60s share sets and costumes, or was their rivalry too strong to permit this seemingly sensible action?